Sometimes the oldies really are the goodies. Fragrant Gardens makes you want to take notes. Ms. Taylor knows her stuff and you will want one of everything on her list. She tells us the ins and outs of aromatic plants from the most fragrant cherries to the most fragrant Rose. She gives us suggestions for fragrant plants in each season and for all uses. Need a summer blooming climber or a winter blooming bulb? No problem. In this one small book your imagination and your garden will expand and grow. 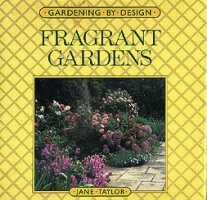 Additional books on fragrant gardens you may enjoy!